Some 65% of the working class in the Ying-Tao region of Taiwan come from disadvantaged, minority communities having their own religion and worldview. Most labor under long working hours at low wages. They suffer a high divorce rate, leading to many single-parent households, child neglect, and low self-esteem. Min-da Chen worked for years as a physicist and software engineer in Taiwan and in the USA. 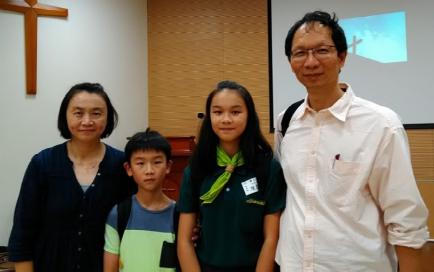 He, his wife and children reside among blue-collar workers in Taiwan, empowering families through education, mentoring and tutoring, as well as counseling for broken families.